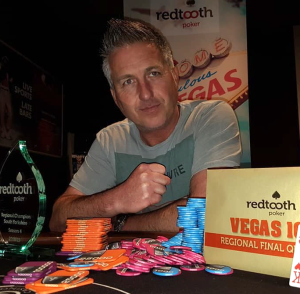 Leg 7 of the Redtooth Poker Tour went overseas into mainland Europe, to Prague in the Czech Republic to be precise. 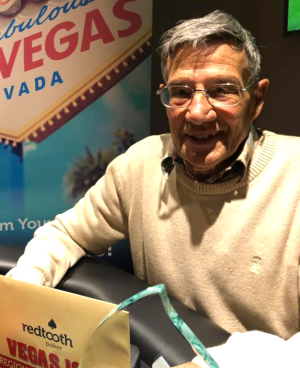 All 150 tickets were sold which saw a juicy prize-pool of a VEGAS100 seat for the winner and £1,650 in cash paid out to the top performers. 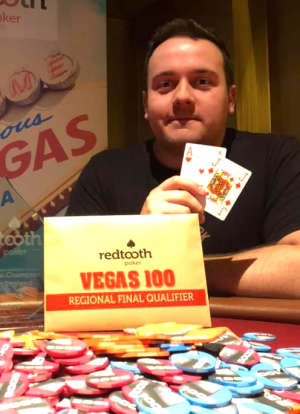 The eventual winner was Chris Rudd who beat James Pieroni heads-up to claim his 2nd VEGAS100 golden ticket. 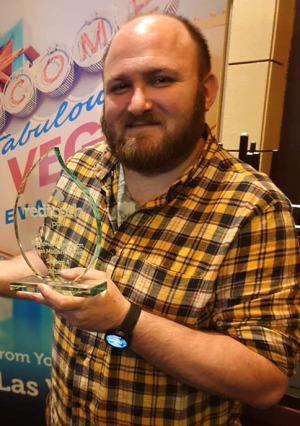 Chris will be flying out to Las Vegas in just 3 months time to battle to become the next UK Pub Poker Champion. 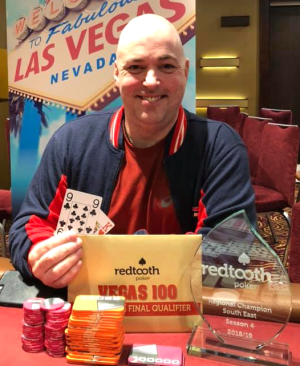 Here is a list of Champions Poker League qualifiers for the upcoming mini league final and the Redtooth National Final. 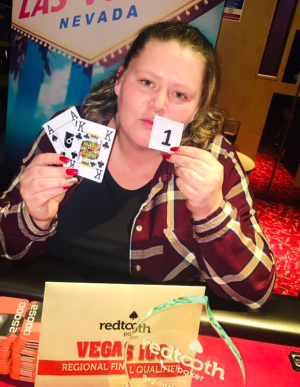 Sheffield hosted leg 6 of the Redtooth Poker Tour, another extremely successful SELL OUT!! 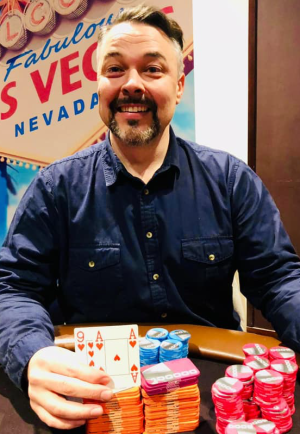 All 150 tickets were sold very much in advance with VEGAS100 2019 opportunities starting to become few and far between. 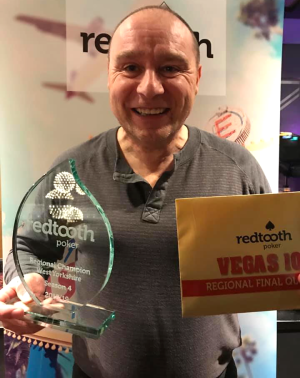 Scott Swain led the RPT leaderboard at the start of play and by the end of play had increased his lead by 10 points to pull 30 points clear of Daniell Patterson in 2nd, with only 2 legs left. 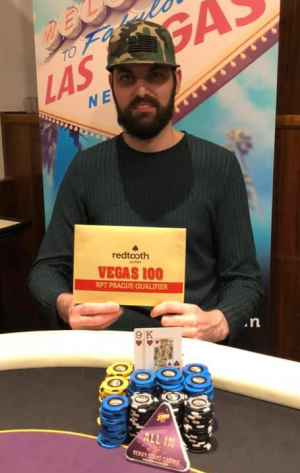 Sheffield’s Nick Clifton took the event down beating 4-time VEGAS100 qualifier Martin Bremner heads-up to win his first golden ticket. Congratulations Nick, very much deserved!